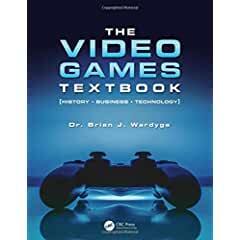 CRC Press has published The Video Games Textbook: History, Business, Technology. The Video Games Textbook takes the history of video games to another level, with visually-stimulating, comprehensive, and chronological chapters that are relevant and easy to read for a variety of students. Every chapter is a journey into a different era or area of gaming, where readers emerge with a strong sense of how video games evolved, why they succeeded or failed, and the impact they had on the industry and human culture. Written to capture the attention and interest of both domestic and international college students, each chapter contains a list of objectives and key terms, illustrative timelines, arcade summaries, images and technical specifications of all major consoles.